The Finance Minister has ruled out a 12pc pay hike for nurses to avert strikes because of the “great risk” of knock-on claims by public servants. Paschal Donohoe said the challenge in meeting their demand is “too great”. He warned that granting it would threaten current and future public sector pay deals. 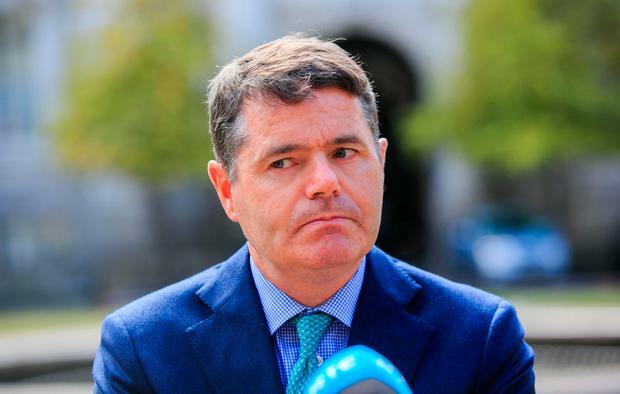 Mr Donohoe also accused the nursing unions of timing their industrial action later this month to have the maximum impact on patients’ operations and appointments. He reminded deputies that a pay deal to avert an unprecedented strike by gardaí was followed within 24 hours by demands from all other public servants for the same money. The minister delivered a strong message in the Dáil as the Government faces a showdown with nurses in the coming weeks. The Irish Nurses and Midwives Organisation (INMO) has served notice of a 24-hour strike on Wednesday January 30, followed by five dates the following month. The Psychiatric Nurses Association (PNA) is also planning industrial action. Mr Donohoe noted that the risk of knock-on claims was not dealt with by deputies during a debate on a Fianna Fáil motion on the dispute. Fianna Fáil called for a special commission chaired by a judge to be set up to consider pay rises for nurses. But Mr Donohoe said every other public servant would be demanding the same judge-led assessment. “That route will spell massive difficulty for the ability of this wage agreement to stay in place, the ability of any further wage agreement to be negotiated at a time we are facing such risk to our economy,” he said. He said colleagues referred to the fact that nurses were in the gallery during the debate, but said the empty chairs would be “quickly filled by every other public servant asking why can’t the same money be made available to them”. Members of the INMO and PNA are demanding pay rises to put their wages on a par with professional grades like radiographers. They are due to meet the Oversight Body that oversees compliance with the pay deal tomorrow. The unions will continue talks with health sector management next Monday.